There has been much speculation recently as to the status of the National Fibromyalgia Association due to their recent staff layoffs and cutbacks on major programs and services. Many of us have been left frustrated with their silence as to the state of things. For me, I was most concerned that the FM community would lose its most visible non-profit voice. Despite its recent struggles, the NFA has been the leader in bringing focus, awareness, and understanding to fibromyalgia. We have all benefited, if even indirectly, from their efforts. If there is one constant in life – it is change. And change is what the NFA is experiencing. The below President’s Message from Lynne Matallana goes into great detail as to what led up to the necessary changes, the current status, and future intentions for the NFA. I appreciate that they finally came forward with an explanation and wish them the best of luck in their time of transition. When the National Fibromyalgia Association (NFA) started 14 years ago, our purpose was to bring awareness and legitimacy to fibromyalgia (FM). Over the years, the needs of the community grew and so did our concern for people affected by FM and those in the medical and research communities dedicated to helping us. We wanted to share with the media what it was like to live with FM so that others would become concerned and could help us to make sure things were moving forward so that people with FM would have better support, more effective treatments and a better quality of life. The ultimate goal has been and continues to be that through research and education we would learn the cause and how to treat, prevent and/or cure it. The organization was started and grew out of my attic into a full scale international nonprofit organization which achieved great recognition and credibility with patients, the medical community and government agencies. Over the years the needs of this large population of people which we represented continued to grow. We found ourselves in a position where we couldn’t say NO to anyone who proposed new programs addressing the needs of this community because we understood the many obstacles and unmet needs that faced people with FM every day. We wanted to help ensure that everyone with FM obtained a better quality of life and receive the medical care they deserved. At the end of 2007 no one anticipated the looming national economic downturn. The NFA like all other nonprofit and for profit organizations was not prepared for our country’s financial crisis, reduced foundation funding, or the impact of new restrictions and tighter transparency regulations put on companies that helped to financially support our organization. Our funding was cut by 50% to 80% and our annual $2 million budget diminished by 60% in a matter of months. There were those in the FM community who were in a position to help us, and we greatly appreciated their donations and contributions. However, because so many in the FM community are struggling and not able to make donations there was no way to make up the difference. Then, in September 2010 right at the height of the NFA financial crisis, I was in a terrible accident that resulted in a major surgery, which required four months of bed rest followed by nine to twelve months of rigorous and painful physical therapy. Even today I continue to struggle to regain my health. This set of circumstances forced the NFA, like many other companies and particularly nonprofit organizations, to undergo a period of transition and reorganization, including staff layoffs and cut backs on major programs and services. Like many other nonprofit organizations that were adapting to our country’s economic environment, the NFA also adapted and made changes necessary to continue to fulfill the key elements of our mission by focusing on retaining the programs which would help the largest number of the FM community members. In doing so some of the personalized and individual help we had been able to provide people in the past had to be cut back or eliminated. Unfortunately, this might have made it appear that we were not concentrating on and responding to the specific and individual needs of people with FM. Over the past seven months we have realized that you have many questions and concerns about the NFA. Had it been our choice, we would have shared this information with you, the FM community. However, we were bound by legal constrictions and agreements of confidentiality to wait until we had developed a plan that would satisfy many of our financial problems. Foremost, we felt that it was important for us to make sure that people with FM would have the NFA and other organizations available to continue to serve the community. In order to make sure that would happen, we had to stay within the bounds of these legal constraints. We can assure you that no matter how bleak the situation our dedication to continue the work that we started so many years ago never wavered, and we have had to make some of the most difficult decisions we have ever had to make in order to assure our survival. We are now pleased to share with you that we have reorganized and developed a new plan that allows us a platform upon which we can move forward. We are very excited that we have been able to accomplish this reorganization in such a short period of time. We believe our work will continue to benefit people with FM and allow the NFA to serve the FM community in a restructured format. In order to meet the needs of FM patients, the NFA has shared their programs and assets with other nonprofit organizations that are committed to implement some of the programs that the NFA previously developed and implemented. Fortunately, even before we experienced the impact of these changes, the NFA had planned to subdivide and receive help implementing certain programs through its Leaders Against Pain (LAP) program. The participants of the LAP training and the members of the Leaders Coalition were going to help administer local advocacy, patient information, FM awareness and media outreach programs. The economic crisis forced us to enact this plan of action ahead of schedule and identify key leaders to help us in this endeavor. Jan Chambers, a LAP graduate and the Director of the NFA Coalition is also the founder and President of a Utah 501 c 3 nonprofit organization, the Center for Understanding, Education, and Research of Fibromyalgia (CURE FM). She was a prime candidate and a passionate supporter of the FM community who came to us volunteering her time and expertise. Recently her group was renamed the National Fibromyalgia and Chronic Pain Association (NFMCPA), which has the capacity to represent the fibromyalgia community through high profile and public-awareness events, as well as to further become involved in research opportunities. The NFMCPA will also work to ensure that an interest will remain in continuing to investigate FM’s relationship to overlapping conditions, such as irritable bowel syndrome (IBS), migraine headaches, interstitial cystitis (IC), restless legs syndrome (RLS), reflex sympathetic dystrophy syndrome (RSD), chronic pelvic pain, and other comorbid chronic pain disorders. 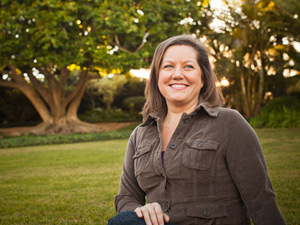 Jan and her organization understand the importance of recognizing the connection of all of these disorders in assuring the best possible treatment outcomes for people with fibromyalgia. She is committed to educating the medical community and the patient community about the importance of recognizing and addressing each of these disorders in treatment regimens. Jan has already jumped into the FM advocacy arena by becoming involved in the national Pain Care Forum Training and Education Subcommittee, and she plans to use her knowledge to continue the development of the NFA Leaders Coalition. The NFA and FMCPA will also collaborate with the American Pain Foundation, the American Academy of Pain Management, PAINWeek, Allsup and other organizations focused on fibromyalgia and chronic pain. We believe strongly during these difficult financial times that organizations must work in collaboration to meet the needs of our respective communities. We encourage you to join us in supporting Jan and her team as they continue to grow the NFMCPA and its programs. You can visit www.fmcpaware.org for information on this year’s Awareness Day events and advocacy updates. On this site you will also find a fibro-friendly doctors list, support group information and other resources, including disability news, research highlights and advocacy updates. We look forward to working with the NFMCPA, and sharing our years of experience and network of supporters. The NFA will be available to support the FM Community and will continue to help improve the quality of life of people with FM. We are currently involved in several important media campaigns, implementing many continuing medical education programs, assisting and encouraging FM scientific research and providing information and educational materials for both the patient and medical communities. We are also dedicated to providing new opportunities for people with FM to participate in surveys and registries that will make an impact on the future direction of research and treatment development. Even through these difficult times, we continue to provide services to help hundreds of thousands of NFA constituents. Although our normal communication channels were restricted during the past couple of months, we continue to bring our supporters information about our programs through our website, monthly newsletters, e-alerts, patient seminars, continuing medical education curriculums ,Webinars, radio blogs, Facebook and other social media outlets. We ask for your continued patience and support as we move forward. The NFA, as always, is committed to working on behalf of all of those affected by fibromyalgia and to helping improve their quality of life. Personally I’m not buying the couldn’t tell anyone because of legal constraints –something [a press release for example] could have been said/posted on the website to the FM Community, etc. that let people know what was going on and still did not breach confidentiality. “Please bear with us as we go through a restructuring process.” for example. I agree. As a former lawyer, I can certainly see confidentiality requirements for future funding or acquisition deals, but these have to be negotiated. NFA could certainly have protected its membership by insisting on the ability to be open about the difficulties it was facing — an announcement that the organization was going to be undergoing a significant change due to financial constraints would certainly have gone a long way to preserve/foster good will. Thanks for sharing. I agree with the previous poster. Who’s best interest were they looking out for when they took my money for a subscription to the website and then shut down the “members only” section a couple of months later? It’s frustrating and I can only imagine how people who are newly diagnosed and looking for answers are feeling. Another useful resource is the Fibromyalgia Network. They don’t accept advertising…and they don’t sell your email address to chiropractors that appear very similar to Whitcomb. The Fibromyalgia Network provides lots of useful information and they sponsor fibromyalgia research. It’s a viable alternative for those people who need info. Will you also get the chance to interview Lynn? Thank God Lynne is OK! as an Occupational therapist I have a good understanding of the type of therapy she had to endure. At the same time try to run an international organization that not only provides an income for some and multiple levels of comfort for suffering individuals all over the world, 24/7. I also thank God this non-profit organization managed to survive without bailout money that for profit organizations took to stay afloat. As a sufferer I greatly value these outlets because as a therapist I must endure on a daily basis the skepticism of the medical community yet live with all the tortures of this syndrome. Thank you NFA for being there and staying! As a former PR rep. & personal asst., this sounds like a message from a small business owner who may have had to endure the humiliating process of being faced with the decision of either let your company & everything you worked for crumble into the ground, or declare BK & “team-up” with someone who can bail you out, and essentially take-over & eventually squeeze you out of a business built with your sweat & tears. Sometimes, if you think you’re going under–you just can’t bear to tell anyone anything, because you’re not sure what to say & you’re not ready to admit defeat. Lynne’s letter sounds to me like she is trying to “save-face” before handing her company over to someone else. I feel very bad for her. May she be able to heal soon, both body AND spirit. In January I sent in a check for a subscription to the Fibromyalgia AWARE Magazine. My check was cashed by the National Fibromyalgia Association on March 3, 2011. I have just become asware of the association’s problems. As yet I have heard nothing regarding this subscription. Will I get a refund? I am not a representative of the NFA, so I cannot answer your question. It is a very good question and you definitely need some resolution. With all the transition I think you will need to be diligent about contacting them until you can get an answer. I wish I had a more helpful answer. Good luck! Could you please forward any information as to a name, address, phone number where I can contact someone who can be of help? The information posted on their website is no longer valid. Thank you.